Telling a good story. 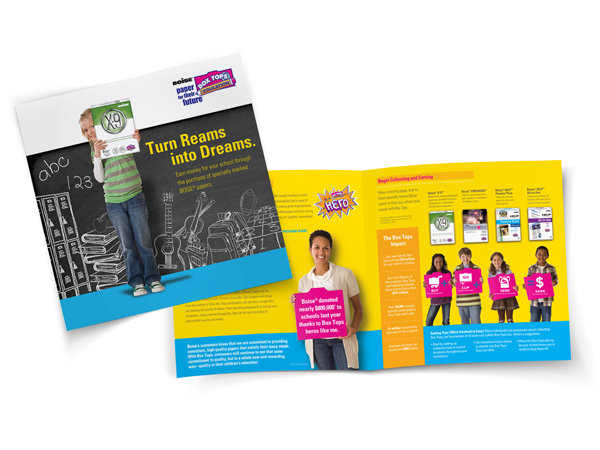 As a proud Box Tops for Education partner, Boise wanted a piece that would promote the program and encourage participation. 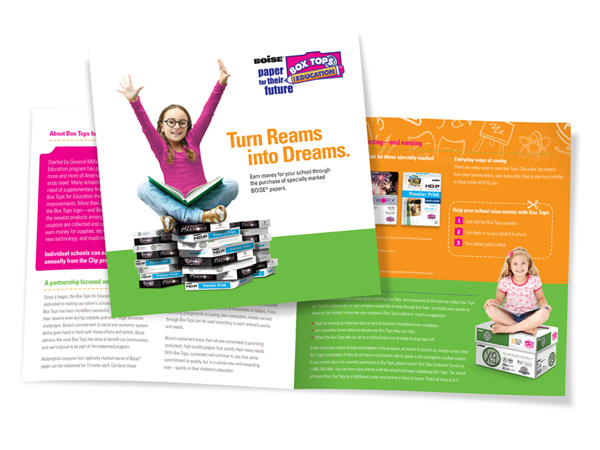 This piece helped educate Boise customers on how Box Tops for Education works, the role Boise plays and how they can participate.